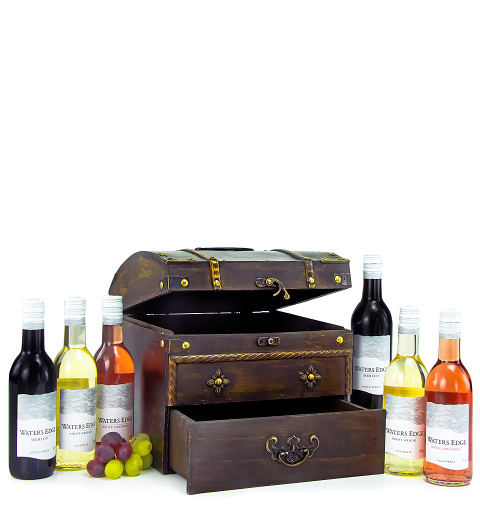 We have selected six bottles of wine to fill this beautiful wooden draw chest. Included are two bottles of Merlot, two bottles of White Zinfandel, and two bottles of Pinot Grigio. A wonderful gift for any wine enthusiast and for any occasion.